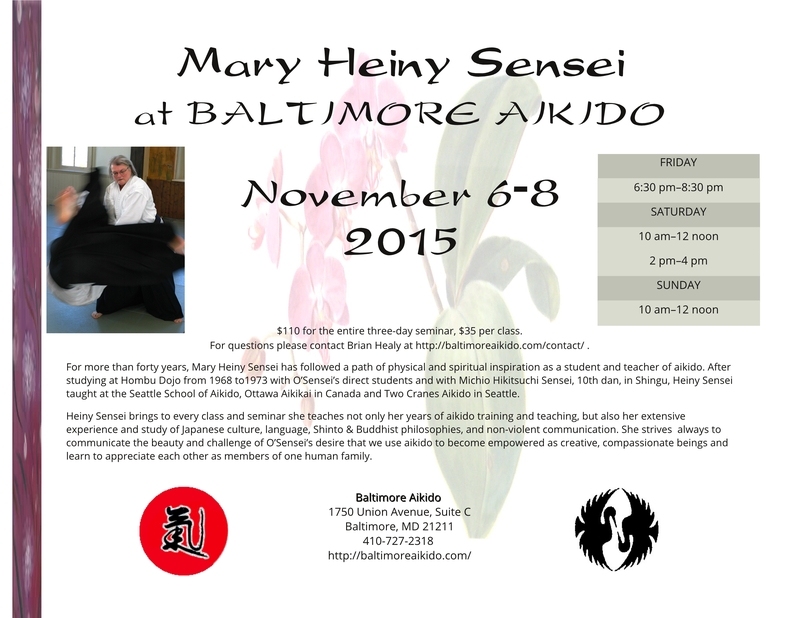 For more than forty-five years, Mary Heiny sensei has followed a path of physical and spiritual inspiration as a student and teacher of aikido. After studying at Hombu Dojo from 1968 to 1973 with O-Sensei’s direct students and with Michio Hikitsuchi sensei, 10th dan, in Shingu, Heiny sensei taught at the Seattle School of Aikido, Ottawa Aikikai in Canada, and Two Cranes Aikido in Seattle. 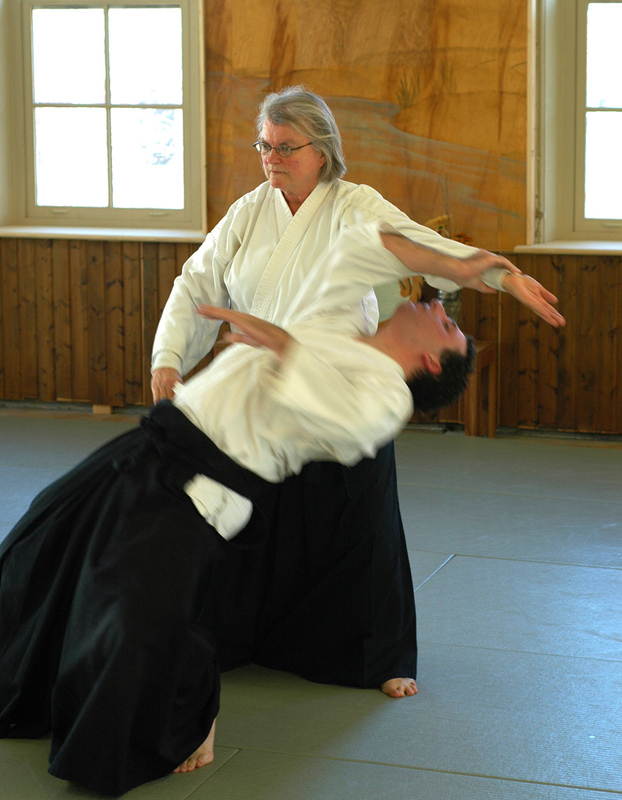 Heiny sensei brings to every class and seminar she teaches not only her years of aikido training and teaching but also her extensive experience and study of Japanese culture, language, Shinto and Buddhist philosophies, and nonviolent communication. She strives always to communicate the beauty and challenge of O-Sensei’s desire that we use aikido to become empowered as creative, compassionate beings and learn to appreciate each other as members of one human family. More information about Mary Heiny sensei is available at her website.